You guys, I am so excited for the holiday season! It’s my absolute favorite time of the year, even more so than my birthday and wedding anniversary (sorry babe). But can you blame me? There’s so much to love during the Holiday season! Since I’m Filipino, we celebrate Christmas as soon as the -Ber months start. That means, we’ve got holiday music playing on the radio stations as early as September. I’m not even exaggerating, you guys. We go pretty all out during the Christmas season. Now that we’re about less than 2 months away from Christmas, I thought it’d be fun to talk about a few items to keep on your Christmas wish list. I've tailored this list to have items at varying price points. That way, there’s something for everybody. I did, however, try to be super consistent with their features. Since I do travel often, I wanted these 5 gift items to be portable, practical, and pretty — that’s the blogger in me talking because as always, it’s gotta look pretty for the ‘Gram. I honestly feel like I’ve talked one too many times about my Zoe device but it is truly one of the game changers in my skincare routine. I use it for both cleansing and massaging my face every night. The Zoe comes with an option where you can choose the intensity of the device’s pulses. You can make it more powerful for a deeper clean and a stronger massage or you can choose to have the opposite on a gentler setting. Personally, one of the things I love about my Zoe device is how it’s so handy. I remember forgetting to pack my makeup wipes last time, so instead I just used a stronger setting on my Zoe device and paired it with my cleanser. It took all my makeup off! I am not kidding, you guys. It really made my face feel so clean. Best part is, I didn’t even break out the day after. The price tag is a bit steep, I know. But I 100% vouch for this device because I have seen a great difference in terms of my skin’s health. Get 10% off your order with the code ROXCI10. I love a good exfoliation after a long day of meetings, especially if they include a lot of time spent outside. For some reason, I always feel like my face is so exposed to all the pollution whenever I go to Honolulu, so I slather on a good mask on my face before I go to bed. One of the skin care items I’ve been using now is Dirty Lamb’s Turkish Coffee Mask. I have their Coffee Face and Body Scrub too which works wonders and smells absolutely amazing. If you love coffee to the point that you think one of the best things about cafes is the smell of coffee, then this is a product you will love! The first time I took a whiff of this, I took my good sweet time in the bathroom just basking in the smell of coffee. And it sounds silly, I know. But if you’re as in love with coffee as I am, then you’ll understand exactly where I’m coming from. 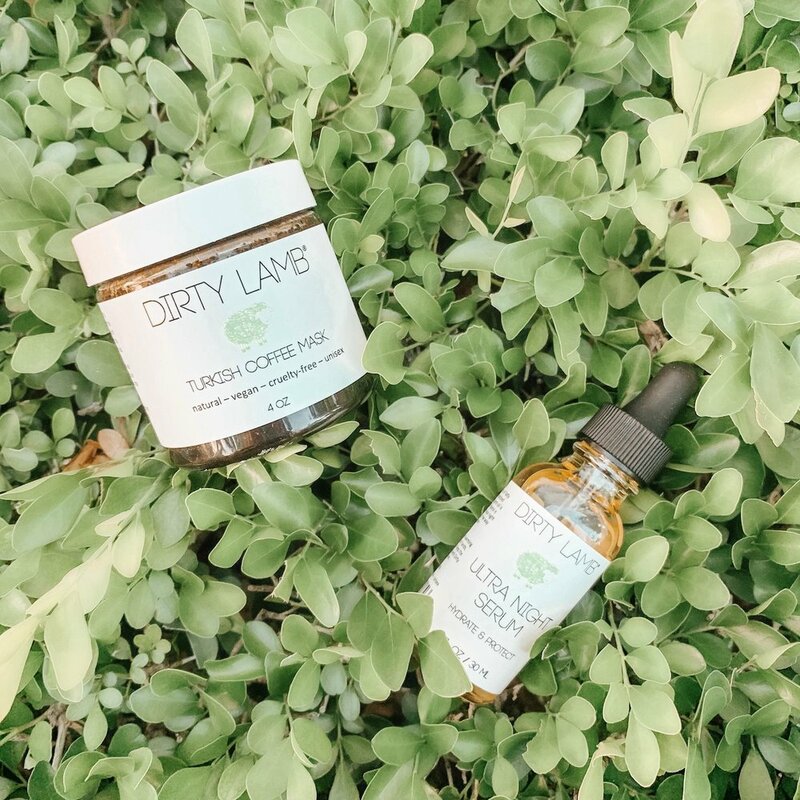 Dirty Lamb is available in TJ Maxx and Marshalls, which is great because that means you can pick up a few more things while you’re in the store, such as the brand’s Ultra Night Serum that I’ve grown to love as well. It’s called a night serum but really, I use it more as a nightly face oil. It keeps my skin hydrated all throughout the night. Definitely repurchasing this once I’m all out as well. I am such a fan of Patchology and all their products, specifically their Cloudmask, eye and lip gel masks, and their makeup remover wipes. But for the purpose of this Holiday gift guide, let me talk about their Cloud Mask. I’ll talk about the other products in another post. Their Cloudmask is my go-to mask during flights because yes, I’m one of those girls who puts on a mask during those long hours up in the air because like what I’ve said in a previous post, the air in an airplane can be extremely dehydrating to the skin. That being said, that doesn’t mean I’m the type who doesn’t care about what other people think and puts on a sheet mask mid-flight. I’ve gotten stares before and basically, I don’t want that kind of attention again if I’m flying economy. But that’s the beauty of this product. It’s a cream type mask the skin drinks up so it’s pretty fuss-free because let’s be real here, sheet masks can get pretty messy. Basically, with this product, I’m able to hydrate my skin sans the weird stares — so yes, I am all for it! I wish I could say I was one of those flyers who sleep the entire time on the plane. But the reality is, I’m the one watching in-flight entertainment, reading ebooks, and playing games on my phone. Then again, I’ve gone through over 30 hours of travel time before, so I can’t really sleep all the time. I feel like my eyes are way more exposed to blue light whenever I’m on a plane because there’s really nothing else to do. Instead of fighting it and losing my mind not doing anything in the process, I take out my blue light glasses from Pixel Eyewear instead. Blue light glasses are super important for me because I’m a blogger who spends most of her time in front of a screen — whether it’s a phone, a laptop, or a smart TV. In the past, I’ve also suffered from many migraines because of the blue light exposure emanated from screens, so these glasses have saved so many times. I’ve had my Pixel Eyewear glasses for about 3 months now, and I’m still pretty much in love with it. In fact, I’m using it now as I type and I have been headache-free for a long time. The pair I have in the photo is the Capra in the color Whiskey, but my husband switched his pair with me so now I have his Asper pair in the color Brandy. I think his looks way better on me anyway, so it all works out. Enter ROXCI5 for a discount on your Pixel Eyewear! As much as I love how my lashes look like whenever I have falsies, I don’t usually have the time and patience to put them on. They were a staple back when I still spent weekends as a Princess and I remember spending a good amount of time trying to get them on while in a moving car — now that’s another story of its own. Now that I’ve retired from Princess duties, I find falsies make me more sleepy often. Maybe it’s the weight they put on the eyes? I don’t really know, but what I do know is I’ve been looking for an alternative for longer lashes sans falsies. By the way, eyelash extensions scare me so much I’ve never even had them done once. Like most people, I found out about Rodan and Field’s Lash Boost serum through social media. I was watching a YouTuber talk about her secret for long lashes and I couldn’t believe those were her real lashes. So far, I’ve only been using the Lash Boost for about half a month, but I’ve already seen such great results! I don’t want to give too much away because I will be making a before and after video up on my YT channel, but I do want to say that the Lash Boost has exceeded my expectations so far. Application is super easy. All it takes is just a swipe of the product near the eyelash area before you sleep. It’s that simple. Putting eyeliner on and getting that perfect wing is even harder. Haha. I hope this list helps especially now that Black Friday is right around the corner, Personally, the items in this holiday gift guide are items I already use to begin with so I hope this was more helpful than it is sale-sy. Besides, I truly wanted to share these products with you all because sharing is caring. And what Holiday season would it be without a little gift prep, right? Happy shopping, everybody! Hope you get those Christmas lists ready!